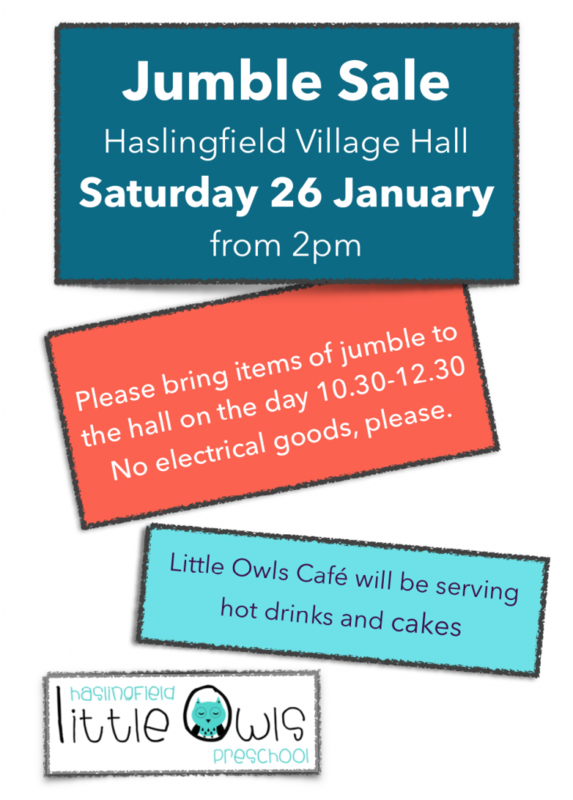 On 26 January at 2 pm, Little Owls Preschool will be holding a Jumble Sale at Haslingfield Village Hall. You will also be able to buy hot drinks and cakes at the Little Owls Cafe. 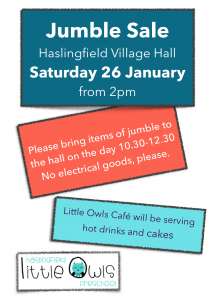 Please bring items of jumble to the hall on the day 10.30-12.30. No electrical goods, please.